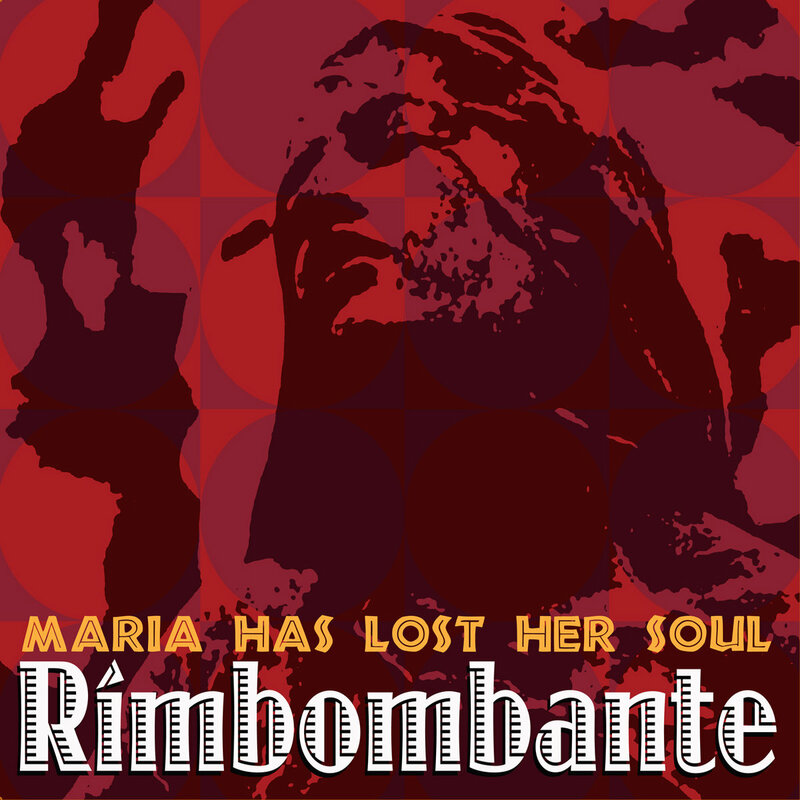 Includes unlimited streaming of Maria Has Lost Her Soul via the free Bandcamp app, plus high-quality download in MP3, FLAC and more. Album cover of Rimbombante's Maria Has Lost Her Soul in t-shirt form. 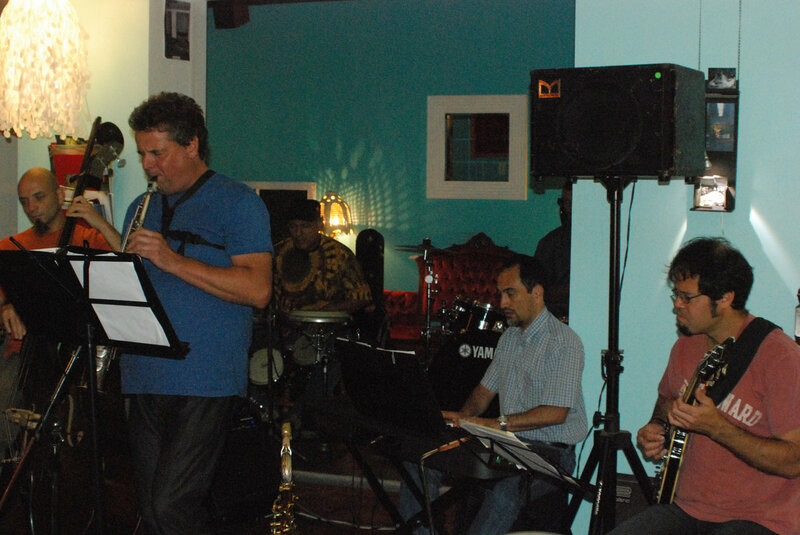 Rimbombante has been winning over fans with their exciting brand of hook laden Latin jazz. People from jazz purist to casual musical fans are hearing something special in Rimbombante. After an unexpected hiatus the group is ready to re-establish itself on the jazz and World-Music circuits. The songs of Maria has Lost Her Soul are meant to be catchy and the changes in style and rhythm from one track to the next combine to keep the recording moving along without there being any sense of repetition. Maria has Lost Her Soul will be seen as a jazz recording but it has to be mentioned that a lot of thought has went into the length and structure of the solos. The attitude of Rimbombante is that jazz or Latin jazz music however you wish to define Rimbombante, it is popular music and listening to a Rimbombante recording should be a pleasurable experience without artistic compromise. Rimbombante’s Bolero Past: Rimbombante is a Spanish term that denotes something fl¬amboyant or having a strong resonance. It is also the name of an Ottawa-based band playing music inspired by Latin America. Rimbombante is part of Majunga Music, a small entity guiding the music of World-Music and jazz acts. 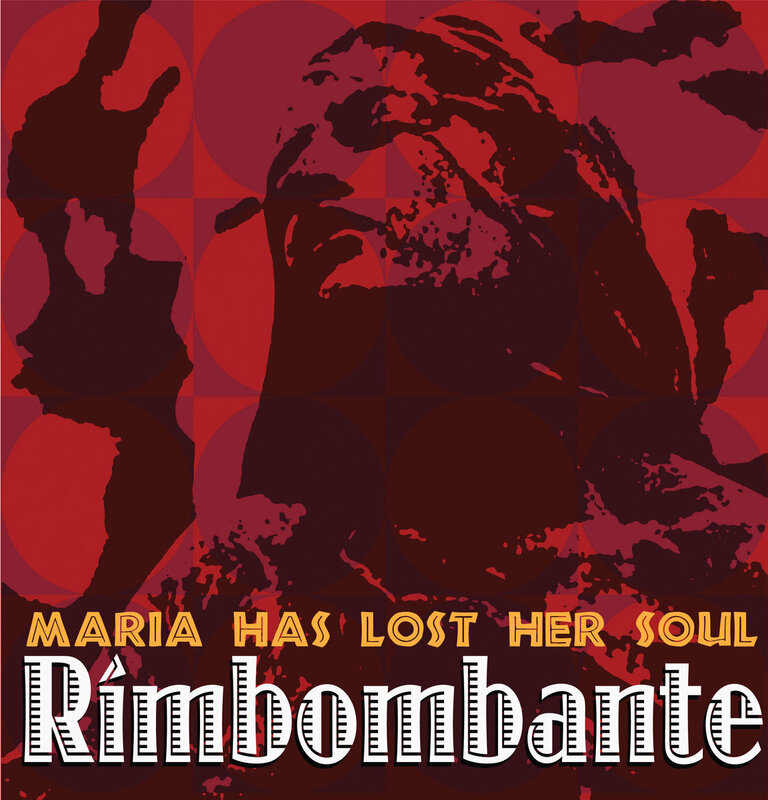 Rimbombante began in 2006 interpreting classic bolero songs from Latin America. The bolero is like a jazz ballad only it has a stronger rhythmic quality. In 2008, Rimbombante recorded Una Aventura Más that is collection of classic bolero covers with a few originals. The reaction to the originals was strong enough to encourage Rimbombante to develop an original repertoire. Soon afterwards Dean Pallen, the group’s saxophonist, began writing the new material. 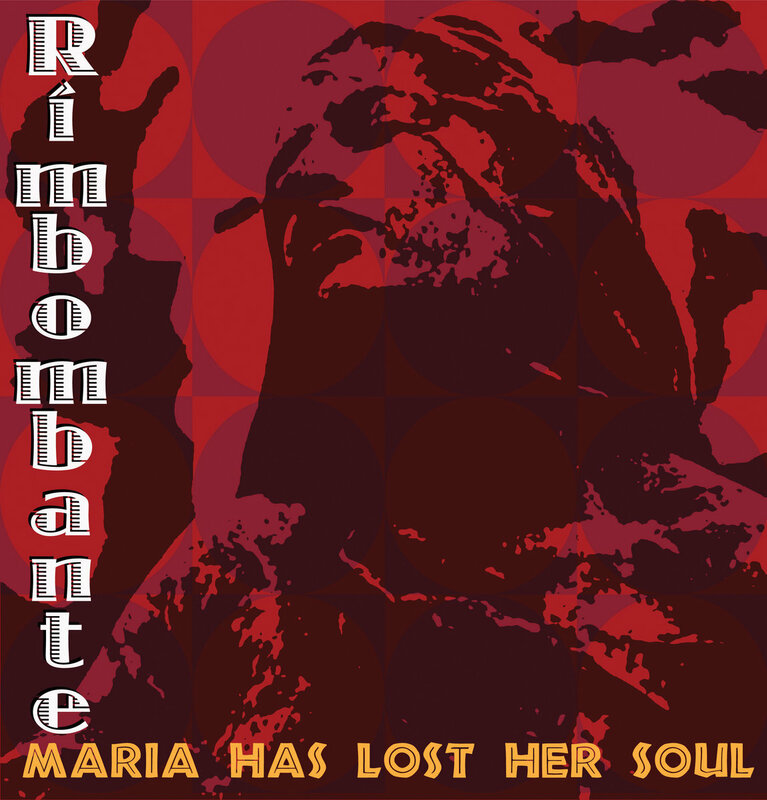 In the winter of 2010, Rimbombante began practising the new repertoire with an expanded ensemble and playing them around Ottawa and Eastern Ontario and Quebec to work out the kinks. The result is Maria has Lost her Soul that was recorded in 2011-2012. The Rimbombante Sound of Today: The current repertoire of Rimbombante encompasses a broad array of Latin, jazz and popular music infl¬uences. When Rimbombante expanded the group it incorporated musicians from Brazil and Cuban and this has enabled Rimbombante to expand musically. The key is how the Latin heritage of the musicians of Rimbombante intersects with the varied compositions and musical structures of the group’s repertoire. The Rimbombante sound is defined by its melodies, mixture of styles and Latin rhythms and tempo and overall accessibility without a sense of compromise. 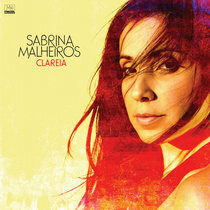 While the Rimbombante sound might still employ the classic bolero sound, the 3-2 clave or rare Brazilian rhythms, it is the meshing of these elements with Dean Pallen’s unique compositions that make the Rimbombante sound. Dean Pallen Saxophonist, Composer and musical arranger: Dean is the leader of Rimbombante writing and arranging the group’s music. He serves the same role for Raivo, a group that mixes African, jazz and popular music influences. He released two albums as the co-leader of Raivo that can be found on CD Baby. 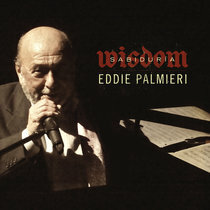 In 2010, he released Strathcona Park a collection of original jazz compositions. His World-Music tendencies are mixed with his love for composers like Thelonious Monk, Billy Strayhorn, Claude Debussy and Brian Wilson. He recently started a new project called Dean Pallen Presents Madagascar that will lead to a recording session and public performance in 2013 and 2014. In 2014, he will release Sunswept Sunday, a recording of rare Duke Ellington and Billy Strayhorn songs that was made with pianist J-P Allain. Evandro Gracelli Guitarist and Composer: Evandro was born in Vitória state of Espírito Santo-Brazil. Evandro started playing when he was 13 years old and had studied with Julinho Marques, Ulisses Rocha, Chriso Rocha, Wilson Lopes, Alberto Trindade and Nelson Faria. He received his music degree from Unicamp (University of Campinas-São Paulo-Brazil). He has a Bachelor of Arts in Music, Major in Guitar and Popular Music. In 2004 he released his first album Urucum, an acclaimed work. 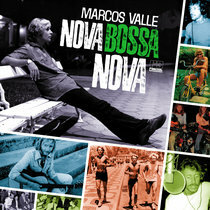 Urucum led Evandro to Itaú Cultural Rumos Musica 2005 (a prestigious Brazilian prize), and Urban Jungle Records’ “Hi Brazil” CD, released in Europe 2007. He has scored music for films and works as a musical educator. 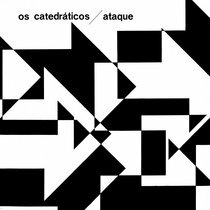 Currently Evandro is involved in musical projects in Brazil (Trio Canastra - choro and jazz Brazil, Meia Fina Trio- jazz Brazil) and in Canada (Florquestra Brasil, Roda de Samba, Patricia Cano, Tropicantos, Sol da Capital, Rene Gely, and Rommel Ribeiro). Evandro also plays the Cavaco –Cavaquinho, a traditional string instrument from Brazil. Gerg Horvath Stand-up Bass: Gerg is a self taught musician. He began playing in rock bands during secondary school and studied jazz while at university. Around 2000, he became active on the Ottawa music scene accompanying and recording with local folk groups while playing in jazz groups. He also became a founding member of Raivo. Shortly afterward he left for Japan where he played in a number of classical music formations. He participated in both Raivo recordings (Hommage and Mahabibo). He played in the Impressions in Jazz Orchestra and is a member of the Divertimento Orchestra. He participated in the recording of Una Aventura Más. Since 2008, he has been playing with the electro-acoustic avant-garde ensemble Kingdom Shore. Arien Villegas Drummer and Percussion: Arien is a percussionist and drummer who immigrated to Ottawa from Cuba four years ago. In Cuba he worked as a professional musician playing in Afro-Cuban and popular music bands. 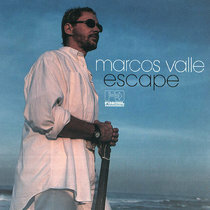 In Ottawa he has become a staple on the local Latin music and jazz scenes. He has been a member of the Caridad Cruz Orchestra and led a Latin big band called Cocktail Tropical. He is currently the drummer in the Miguel Angel de Armas. He was the drummer on Dean Pallen’s Strathcona Park. Carlos Alberto Santana pianist and composer: Carlos is a musician and composer who is originally from Mexico and migrated to Canada in 1998. He studied jazz with Juan Jose Calatayud in Mexico and Jan Jarczyk from McGill University in Montreal. Carlos has played in most popular festivals in the National Capital Region and recorded on different projects with Mighty Popo album "Muhazi" (Happy Rock Studio, 2007); Servantes album "Bluesy Andalucy" (Studio Champagne, 2009); CBC Live Radio 2, 2010. He's also founder of Latin Jazz Trio YA! His major influences are Scott Joplin, Ernesto Lecuona, George Gershwin, Claude Bolling, Michel Camilo, Astor Piazzolla, Mario Ruiz Armengol and Chick Corea. 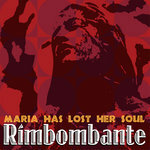 He is an original member of Rimbombante and can be heard on Maria has Lost Her Soul. Salomon Carillo Percussionist: Salomon Carrillo began his career drumming for a Gospel band in his native El Salvador over 30 years ago. 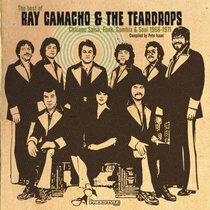 After a period as a rock drummer, he participated in numerous Salvadorian Folkloric music groups that led to tours to in North America, Europe and Central America. Currently he is the co-leader of Shaman Rhythms that released its first album last year. The group is noted for its blending of Latin rhythms. He participated in the recording of Una Aventura Más.